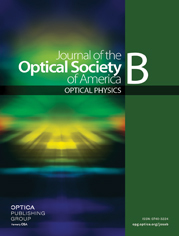 The authors are also with the Department of Electrical and Computer Engineering, The University of Texas at Austin, Austin, Texas 78712-1084. Laser-induced damage morphologies and the accumulation dependence of damage on single-crystal metal surfaces have been observed under Q-switched 1064-nm Nd:YAG laser irradiation at 10-nsec pulses. Several different damage morphologies were observed: slip-line formation, ripple patterns, flat melting, and boiling. Damage probability versus fluence curves and accumulation curves are plotted to investigate damage behavior as it correlates with morphology. Flat-melting damage was observed near the 50% damage fluence on chemically polished copper surfaces, and slip lines were found near the 50% damage fluence on electropolished aluminum surfaces. Surface defects produced during sample preparation greatly influenced the damage threshold of copper because of its high melting threshold. Accumulation curves showed different damage behavior for crystals of different orientation. Accumulation was the largest on (111) Cu and Al surfaces, and the single-shot damage threshold of these surfaces was less than the other crystal orientations for both Cu and Al. The threshold reduction in accumulation follows the equation FN = F1NS−1, where FN is the N-pulse damage threshold, N is the pulse number, and S is the slope of the accumulation curve. Accumulation appears to be the result of the storage cycle of thermal stress–strain energy induced by a laser pulse. The total strain energy induced by N laser pulses is proportional to N1/3 for the measured values of S, which is 0.92.
a All single-point diamond-machined samples were prepared at Los Alamos National Laboratory. a Single-shot test at 10 nsec with a 240-μm (1/e2) beam diameter.